When you were young, you might have watched “The Little Mermaid” made by Walt Disney. 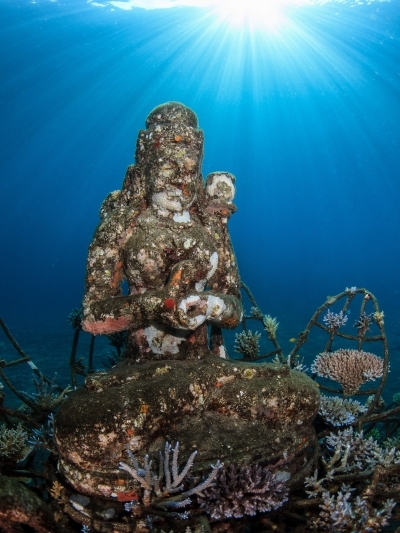 So many people might have dreamt living a real underwater world. For those people, there is a place that you will get closer to the dream in Jemaluk Bay, Bali. Jemaluk Bay has bountiful marine life along the coral wall, with little or no currents and black sand beaches it has excellent conditions for diving. In this area, however, many reefs are destroyed due to lots of destructive activities and mass mortality from the intensifying climate change. 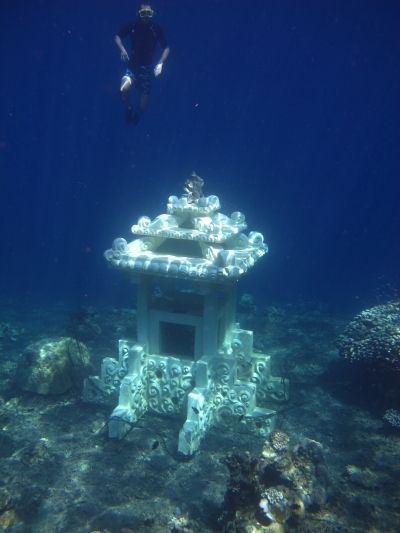 Jemaluk Bay underwater sculpture gallery is the creation of an innovative tourism attraction that is regenerating the coral reef eco-system and facilitating a marine management plan in Amed, Bali; achieved by the installation of underwater sculptures that serve as fish nurseries and coral substrate stabilization and socialising within local community and business in partnership with NGO Reef Check Indonesia. 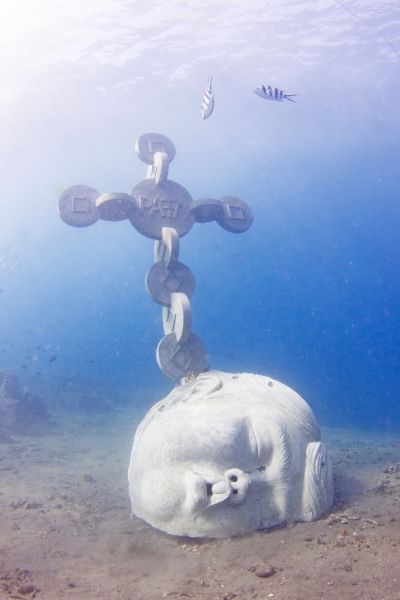 The ‘sculpture in the sea’ program is supported by The Marine Foundation ‘Art For Oceans’ promotion campaign that serves to publicise this project and the series of projects in Indonesia as well as raise awareness of ocean related issues. This project is not only for the ecological aspect, but also focus on the socio-economic aspect. The project will generate innovative environmental art which is able to give a home for fish and coral in this area as well as sustaining a community with an alternative livelihood. It will provide an opportunity for a building art scene, creating job opportunity for the locals and doing related educational programs, workshops and so on. Integrating art to this area, this project will attract many people from overseas countries to come and visit this place as a beautiful tourist attraction. 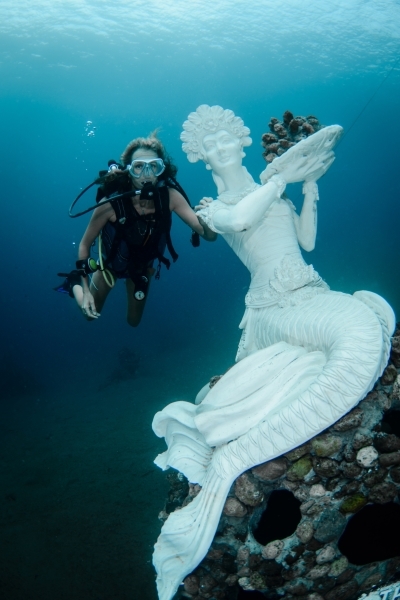 The Marine Foundation prides itself in innovative approach to marine conservation, where art is used as the center and the catalyst for marine conservation and sustainable management. PATA Foundation grant will be used to produce a new sculpture and installation. Also, to raise the awareness and encourage support for the communities that is changing from exploiting their marine resources to creating coral gardens restoring their marine eco-system.